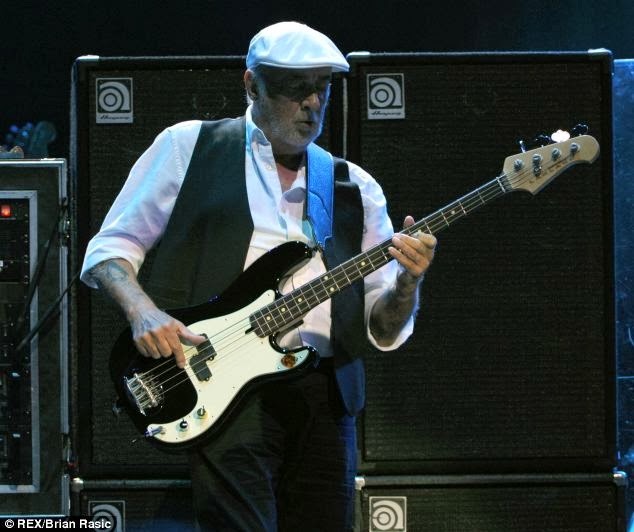 Rock’s greatest soap opera rolled into London this week as Fleetwood Mac began their UK tour with a marathon concert dominated by the hits of the Seventies. Emotional punch was added by the presence of two ex-members who were major players in the Anglo-American group’s chequered history. For a rollicking encore of Don’t Stop, the band were joined at the O2 Arena by keyboardist Christine McVie — onstage with them for the first time in 15 years. Earlier, singer Stevie Nicks dedicated a poignant Landslide to original Sixties guitarist Peter Green, who was watching from the wings. As a generation-spanning audience demonstrated, our love for Fleetwood Mac shows little sign of abating, partly because their biggest hits are still so intertwined with their love lives. 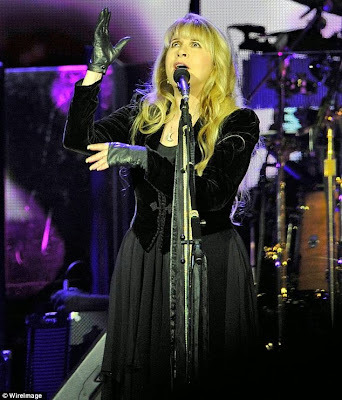 The classic 1977 album Rumours was made amid drug-fuelled excess and personal turmoil, with drummer Mick Fleetwood in the throes of a divorce, the marriage of bassist John and keyboardist Christine McVie on the rocks, and the romance between singer Stevie Nicks and guitarist Lindsey Buckingham in meltdown. To complicate matters, Nicks and Fleetwood later had their own two-year affair. As the return, albeit for just one song, of Christine McVie confirmed, everyone is the best of friends these days, although the sexual tensions of old lingered in songs like Don’t Stop (Christine’s kiss-off to John) and Go Your Own Way (Lindsey’s bitter adios to Stevie). The Buckingham-Nicks relationship was also played out for theatrical effect onstage. The former couple, a formidable creative double-act, hugged each other and slow danced during Sara, and walked on holding hands before the encores. At one point, Lindsey — to loud cheers — gave Stevie a gentlemanly kiss on the hand. Having played 47 American shows in 2013, the band were perfectly cooked. With McVie and Fleetwood providing a fluent rhythmic backbone, Buckingham drove the show musically, setting the tempo with some impressive soloing in the Rumours-era opening salvo of Second Hand News, The Chain and Dreams. But it is Nicks who gives the group their charisma. Teetering around in black stiletto boots, her microphone stand draped in hippy beads and scarves, she was mesmerising on Rhiannon and Landslide, the latter an acoustic duet with Buckingham. Alongside the enduring excellence of their songs, it is also the presence of Nicks that connects the band — now all in their 60s — with a younger crowd. Most of the junior members of this audience were female, and it is no coincidence that the new acts most obviously influenced by the group’s classic hooks and harmonies are girl bands like The Pierces and Haim. Fleetwood Mac’s ongoing appeal also says a lot about the value of experience. From the Stones at Glastonbury to Rod Stewart and Springsteen, many of this year’s best gigs have been played by the veterans, and there was certainly an impressive level of artistry on display here. As Mick Fleetwood bellowed from his drumkit as the 11 o’clock curfew beckoned: ‘The Mac are back!’ Indeed they are. I've loved Stevie for decades, but what on earth is going on with her gloves? One has fingers and the other one doesn't! Has anyone heard her talk about that? If not, maybe it's some Illuminati "hidden hand" thing. Does anyone know?